Cafeteria is a place where students of all courses interact with each other and enjoy the good food. After long hectic sessions in the tutorial classes at college, students feel lethargic and seem a little withdrawn from studies. 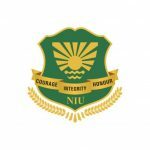 The Cafeteria at NIU is a vast extensive region, encompassed by greenery and picturesque excellence, where a mixture of refreshments and suppers are accessible at reasonable rates. We, at NIU understand the importance of good health and its role to build a healthy mind. Hence, our well-designed and hygienic canteen in campus supplies quality snacks and eatables and provides students enough place to relax. The University has got a world-class cafeteria, which is as excellent as any other good-class cafe. It is considerable for its appearance as well as for the menu it offers including beverages, snacks and provision for breakfast and lunch. Unique forethought is taken to give hygienic nourishment to the scholars. A Committee comprising of senior workforce and learner delegates has been constituted to take care of the issues of the cafeteria and to screen the administrations given to the clients.